20 ACRES ON STATE ROAD 207 This is one of the last prime tracts of land available in St. Johns County situated just west of the St. Johns County Fairgrounds in Elkton, Florida. The property has an estimated 780 feet of frontage on SR 207 and 1,328 feet of frontage on CR 13 and contains an estimated total of 116 acres, which is subject to survey. 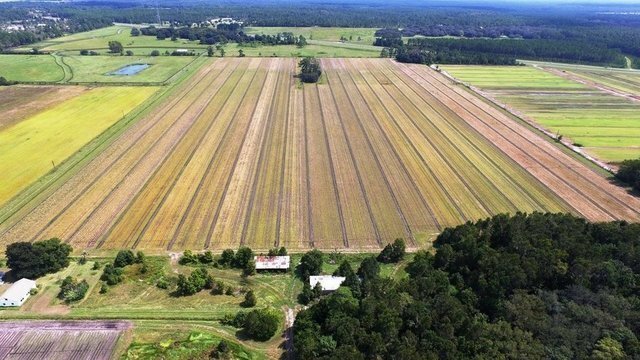 Based on the St. Johns County aerial map, the site is divided into 75 acres of leased row cropland; 18 acres of leased pastureland; 20 acres of woodlands; and 3 acres of original homestead area including a residence and farm equipment buildings of nominal value. This is a perfect, secluded property for a working ranch, a sportsman retreat or a private home site based on its close proximity to St. Augustine and Interstate 95. Zoned Open Rural (OR) by St. Johns County, explore your possibilities with 116 Acres.